Deuter ACT Lite 60 10 SL for women is a lightweight pack suitable for various outdoor activities. With more than 60 liters of volume and the weight below 2 kg, this pack is perfect for women backpackers and for smaller men. This pack is a great tool for trekking tours, mountaineering, traveling, hut to hut Alpine tours, and anything similar. Deuter ACT Lite 60+10 SL front view. This is a top loading pack with a floating lid, so you can move it up and down to add extra volume. For this you have an extendable collar under the lid, hence the number +10 in the name of this pack. The collar is with a cinch cord and toggle, and you have an extra compression strap running across the collar. The pack is also hydration compatible, the sleeve for water bladder is inside the main compartment. The water hose can run along any of the shoulder straps. You also have a bottom compartment with a zippered entrance. Inside you have a true divider with a zipper, so the two compartments are completely separated but you can make them one single big space if you need. Two tool loops are on the bottom, and you have two accompanied attachment loops higher on the front of the pack, this is all for trekking poles or an ice axe. You can see them in the picture above. There are 4 small attachment loops on the front, for helmet attachment or for anything else in principle. Another 4 attachment loops are on the top of the lid. Compression straps: You have two pairs on each side of the pack. Two compression straps are on the bottom compartment, this you will use to attach a sleeping pad or just to cinch the pack. The letters SL in the name denote ‘slim line’ which implies women’s specific design. This means that the shoulder harness system is more narrow, suitable for women’s body, the shoulder straps are more padded and with very soft edges, they are anatomic and shorter than models for men. The padding is completely without seams, made such on purpose to avoid any hot spots. Similar contouring for women and extra padding is applied on the hip belt and in the lumbar area. This all system is based on an aluminum X-frame which provides rigidity to the pack and stability with respect to torsion. The harness is adjustable, here you have a very effective Deuter’s Vary Quick system. It allows for torso movement in the range 13 -18 inches (33 – 46 cm). The load lifters add a bit more to this overall adjustability. They are important for the pack of this size. Generous padding is on the back. You have two vertical hollow foam padding elements, this creates a pump effect with every movement. Between them, you have a central air flow chimney. The words ACT in the name of the pack mean ‘air-contact‘ and this describes the air flow circulation which such a structure offers. Anatomical hip fins have multiple layers. The inner is a soft foam with a 3D AirMesh lining for comfort. The outside layer is a firm foam, anatomically shaped, and it transfers the load to the hips. You have side compression straps on the fins to regulate the load and to increase the overall stability. The sternum strap is adjustable in both directions, vertically and horizontally, and it is stretchy as usual. Soft edges on the straps. Smaller buckles and narrow tapered strap ends prevent the SL shoulder straps from chafing under the arms and eliminate pressure points in the chest area. SL carry system is slightly shorter than that of Deuter’s standard rucksacks. But this makes it perfect also for males with shorter backs. Conical form in the waist belt wings, which is achieved by angling the belt diagonally upwards. SL shoulder straps are both narrower and shorter in length. There are 2 nice zippered pockets on the hip belt, you will notice that older versions of this pack have only one. One great size zippered pocket is on the lid, and yet another zippered pocket is underneath the lid. You also have stretch mesh pockets on the sides, 2 in total, very deep and with compression straps to fix the stuff contained in the pockets. One useful stretchy pocket is on the front of the pack. It is equipped with a buckle on the top. Some of these features you will be able to see in this video which is 8:37 long. Volume: 3660 + 610 cub. in (60 + 10 liters). Size (H x W x D): 33 x 14 x 12 in (84 x 36 x 30 cm). 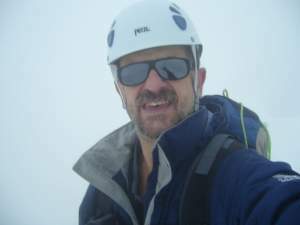 – Deuter-Super-Polytex. This is made from 600 den polyester thread and with a thick PU coating. It is robust and lightweight. – Deuter-Ripstop 210. This is an ultra-tight weave, hard wearing 210 den nylon. It has a very technical and shiny surface and it incorporates tough ripstop threads. Here you have a top quality PU coating. Used in all Deuter’s lightweight Alpine and trekking packs. – Macro Lite 210. This is a nylon material with hard wearing 420 den and 210 den density. Such a special high-density denier polyamide offers high abrasion resistance due to its very tight weave. You have PU coating here as well. Rain cover for this pack can be ordered separately. In the moment of writing this text, the prices for these 4 packs are, respectively, $209, 234, 217. So Deuter is lighter and it is slightly less expensive, but it lacks some features which other top packs have, therefore my rate. To conclude this text about Deuter ACT Lite 60 10 SL for women, you should know that Deuter is a company with well over a century of experience, so the packs they produce are among the best in this industry. When you purchase one, this is for life. I own one, and I am sure when I claim this. The same holds for this specific model, it is comfortable and reliable, and it fits nicely to the body. The pack has been tested in the field, you can read here very detailed reports about this version and the 65 liters version for men. All in all, I fully recommend this pack. Note that there exist different volumes in this pack series, for both men and women. Several smaller versions are described in my separate text. There is also a bigger version 70 SL with the same features. Thank you for reading. I shall be happy to have some comments from you, there is a comment box below. Have a nice day. The only mountain I’ve climbed was the biggest one in the UK and even then, Ben Nevis pales in comparison to the REAL mountains out there (I only needed a small bag to hike up and down Ben Nevis). However, I do travel a lot and a bag like this one seems right up my alley. I’m always looking for better ways to carry my luggage (especially since I tend to carry too much stuff) and bags like this one are becoming increasingly more attractive to me. Thanks for your review, I may in fact consider this bag for my next adventure! Hey Sarraa, thank you. Well, Deuter is one of a few top brands, I own one pack from this brand and can tell you, their stuff is made to last forever. No more no less.